In 1894 the official student newspaper was named The Crimson White, evidence that the school colors were well established by that time. 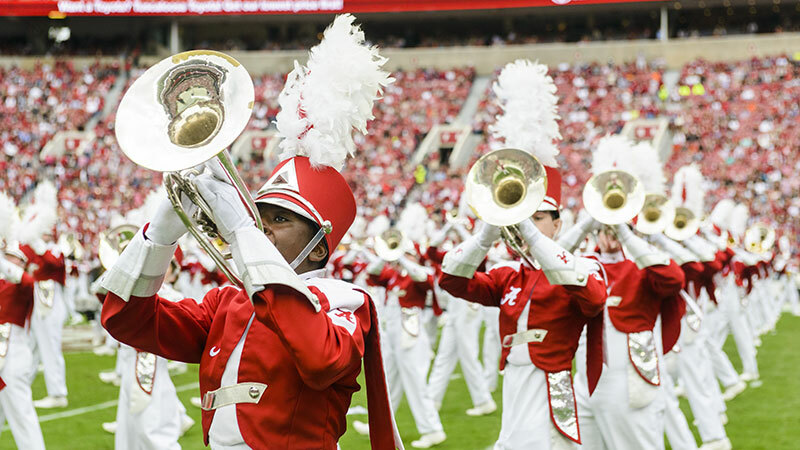 UA’s football team was first known as the Thin Red Line or the Crimson White. As the story goes, that changed on a soggy day in 1907, when Alabama went to Birmingham to play heavily favored Auburn. 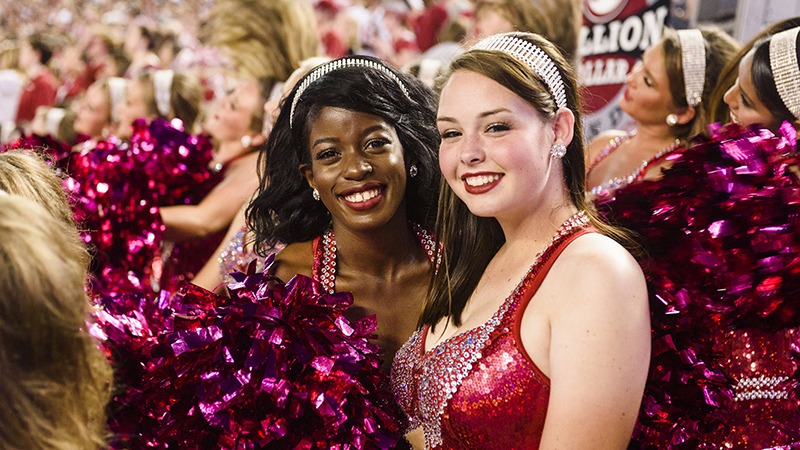 Birmingham’s iron-rich soil turned to a sea of red mud which stained Alabama’s white jerseys. The team fought Auburn to a 6-6 tie and sports editor Hugh Roberts of the Birmingham Age-Herald is supposed to have said the team played like “a Crimson Tide.” The name has been ours ever since, according to Crimson Tide lore. 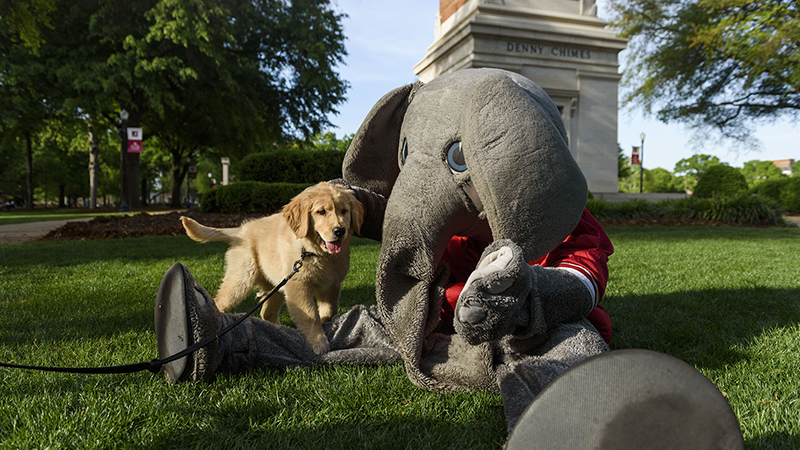 The University of Alabama is the only major university with an elephant as a mascot. Like many of our traditions, multiple origin stories exist, but it seems we can again credit a sports writer. In 1930 Everett Strupper of the Atlanta Journal wrote of his shock upon seeing the immense size of Coach Wallace Wade’s varsity players when they charged the field against Mississippi: "It was the first time that I had seen it and the size of the entire eleven nearly knocked me cold, men that I had seen play last year looking like they had nearly doubled in size." 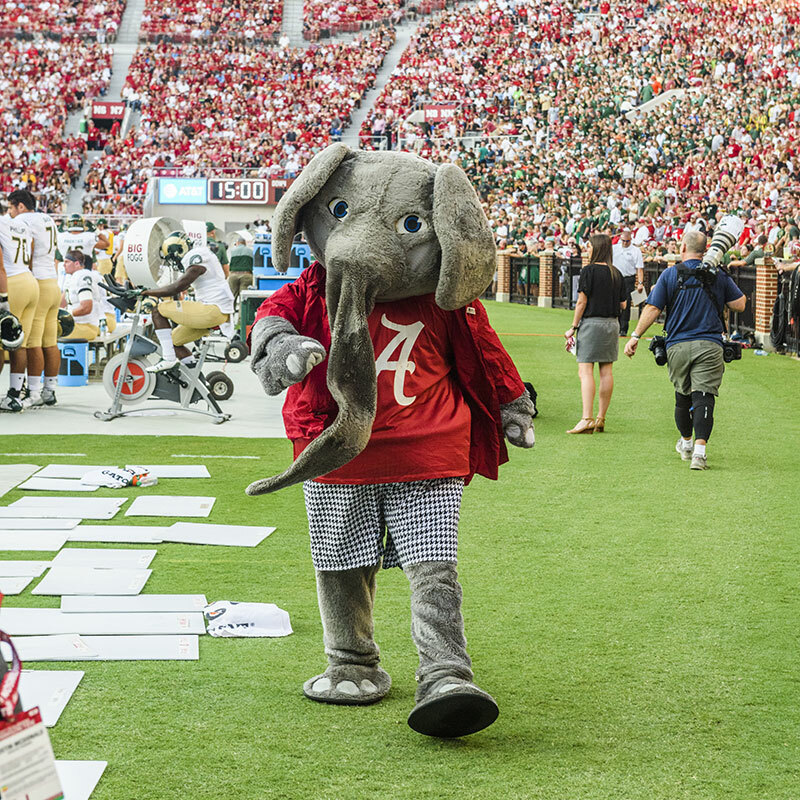 A fan is supposed to have yelled out, “Hold your horses, the elephants are coming!” Strupper and other sports writers adopted the moniker “the red elephants” for the crimson-wearing team. 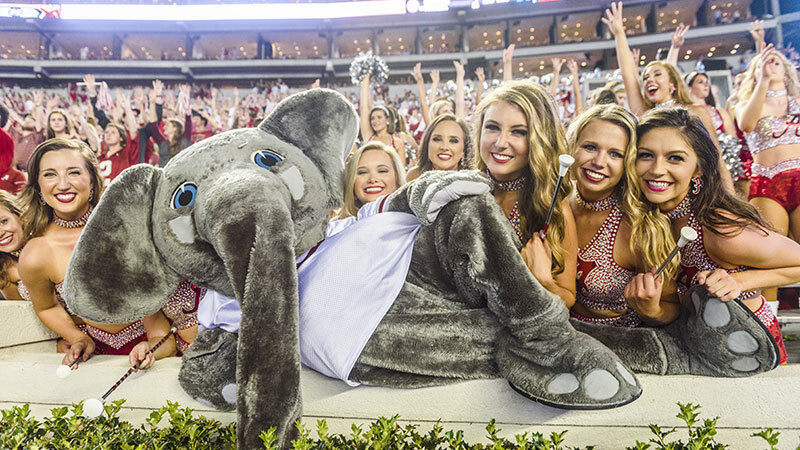 While the elephant quickly became a team symbol, it was not until the 1979 Sugar Bowl that the official costumed elephant mascot Big Al made his debut. He has been beloved of the UA family ever since. 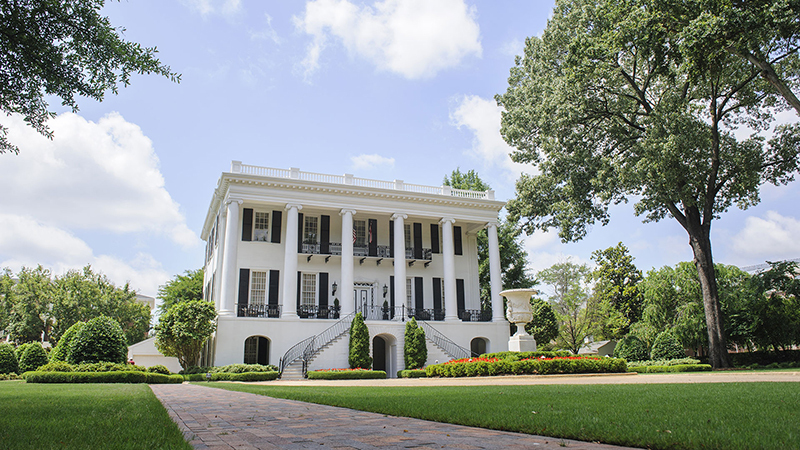 Shortly after Dr. George H. Denny became president of The University of Alabama in January 1912, he began referring to the school as the state’s “capstone” of higher education. Denny was a strong believer in the power of supportive relationships between all levels of schooling. 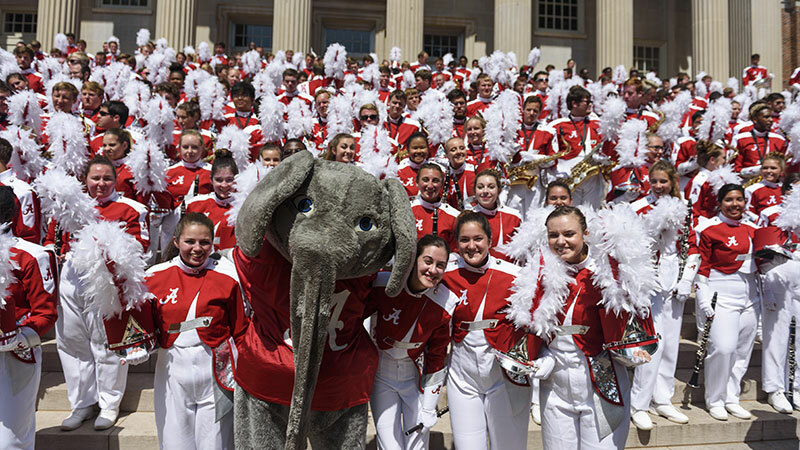 He viewed the University as the top of an educational edifice that began with elementary and high schools across the state and reached all the way to the Tuscaloosa campus. 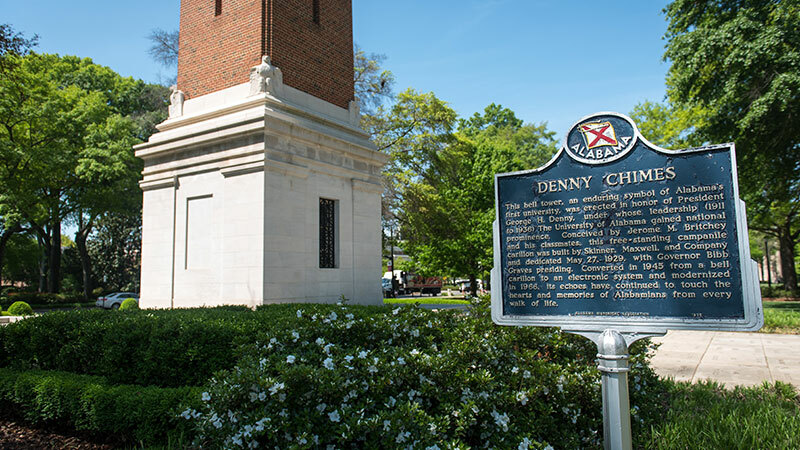 So beloved was Dr. Denny by students, they began a fundraising drive to build Denny Chimes, erected in his honor in 1929. 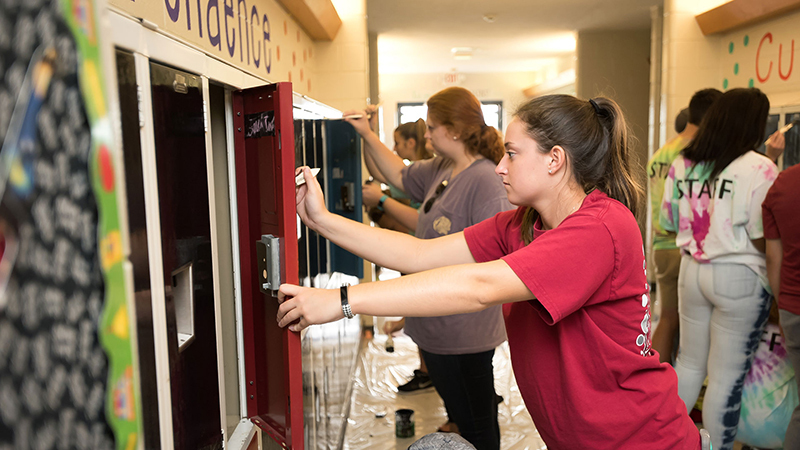 The 115-foot campanile (a free-standing bell tower) contains a carillon of 25 brass bells that marks the hours and plays concerts, patriotic songs, memorial tributes, the school fight song and the alma mater. 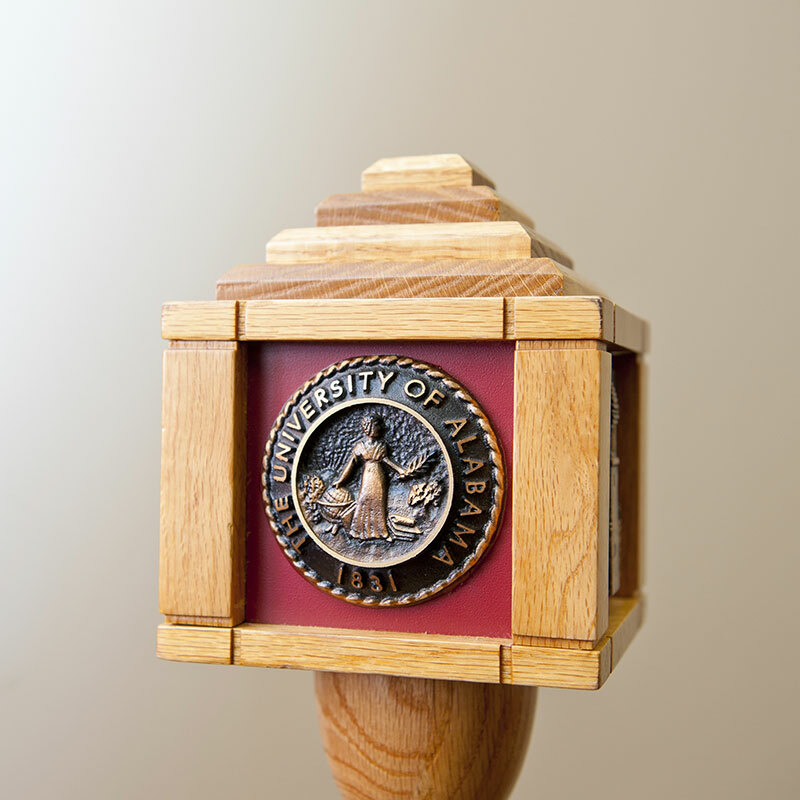 The UA Alma Mater is titled “Alma Mater.” It has no other name and needs none. 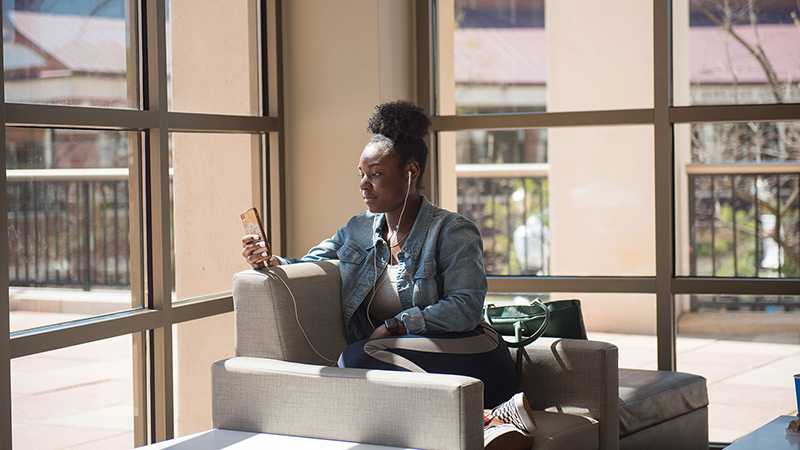 When the chimes ring out the alma mater every day at noon, all of campus recognizes the song written in 1908 by UA undergraduate Helen Vickers. The lyrics are set to the tune of the 1850s ballad “Annie Lisle,” a popular choice at the time for college songs. 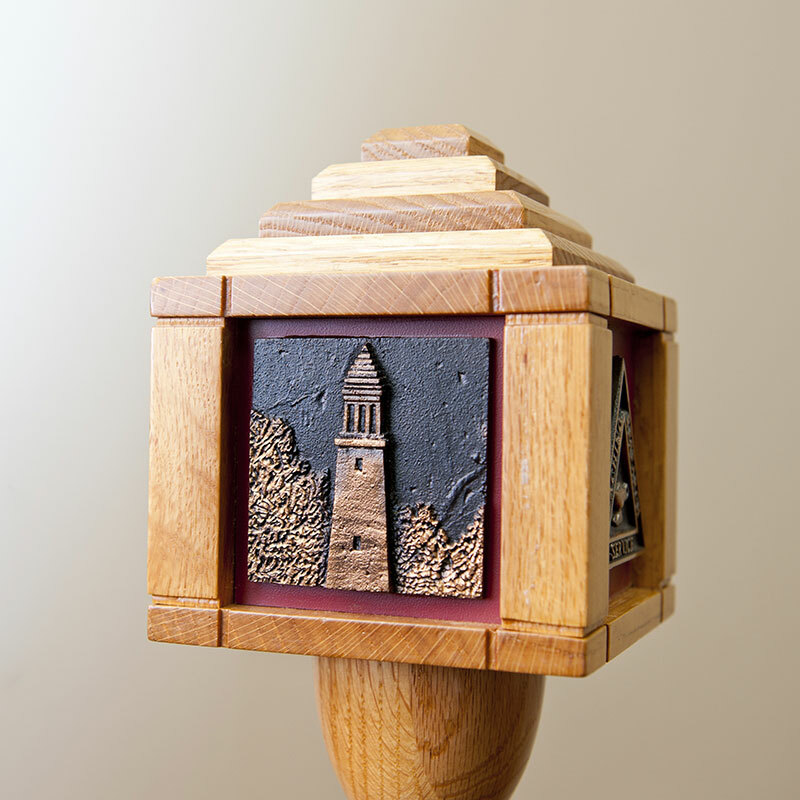 Few things represent us more completely than the ceremonial mace, crafted from one of our oldest and most famous trees, the Gorgas Oak. 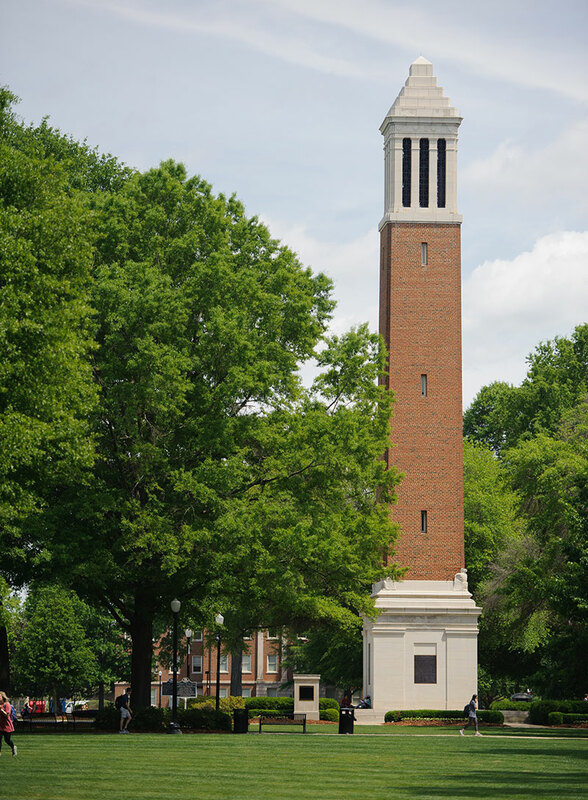 The first bronze casting is the official seal of The University of Alabama; the second is Denny Chimes. 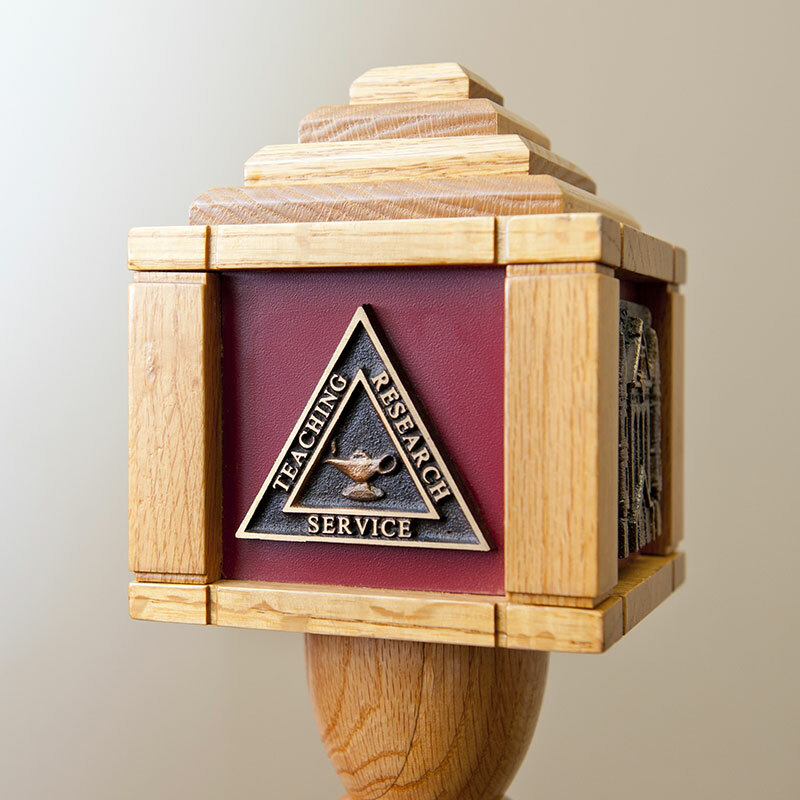 The third casting is a triangle framing the lamp of knowledge with the words of the University’s mission: teaching, research and service. 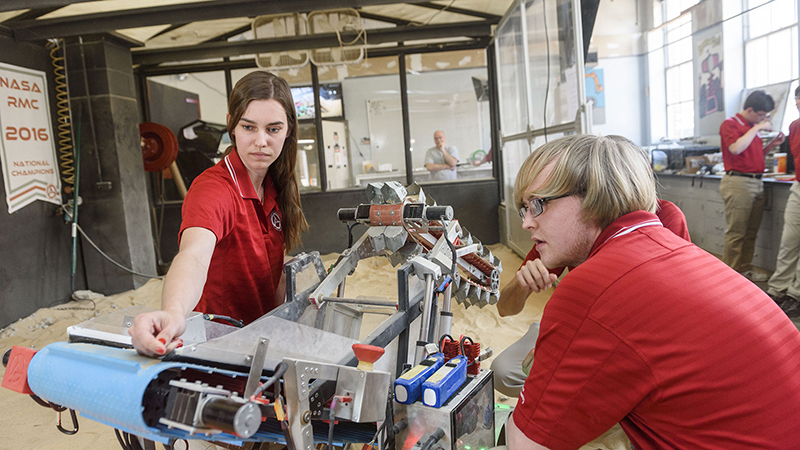 The fourth casting is Clark Hall, one of the oldest classroom buildings on campus and home of the College of Arts and Sciences. 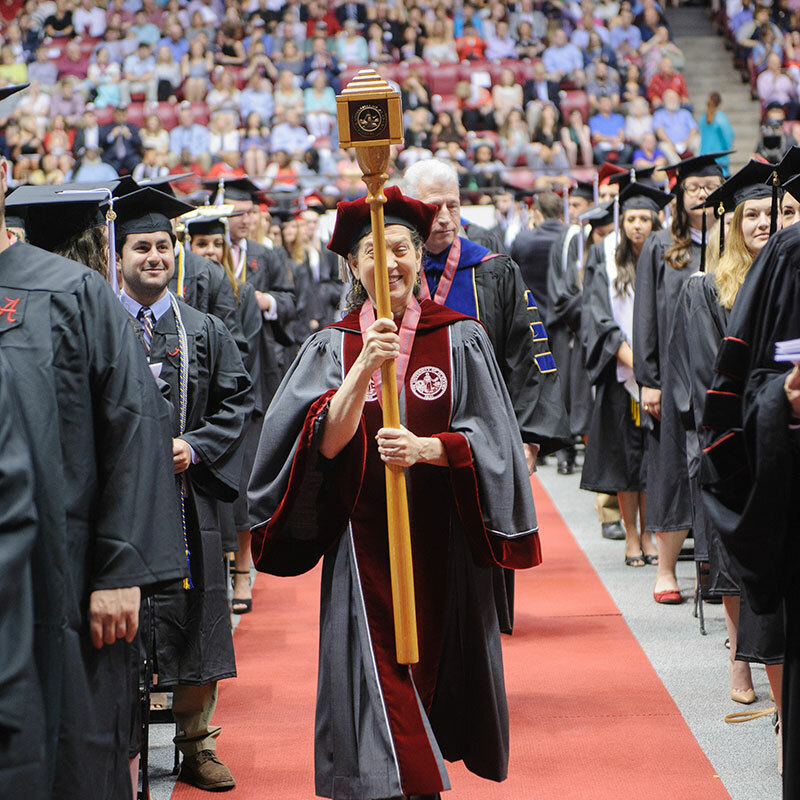 Introduced at the May 1987 commencement ceremony, the ceremonial mace is always carried by the commencement marshal. 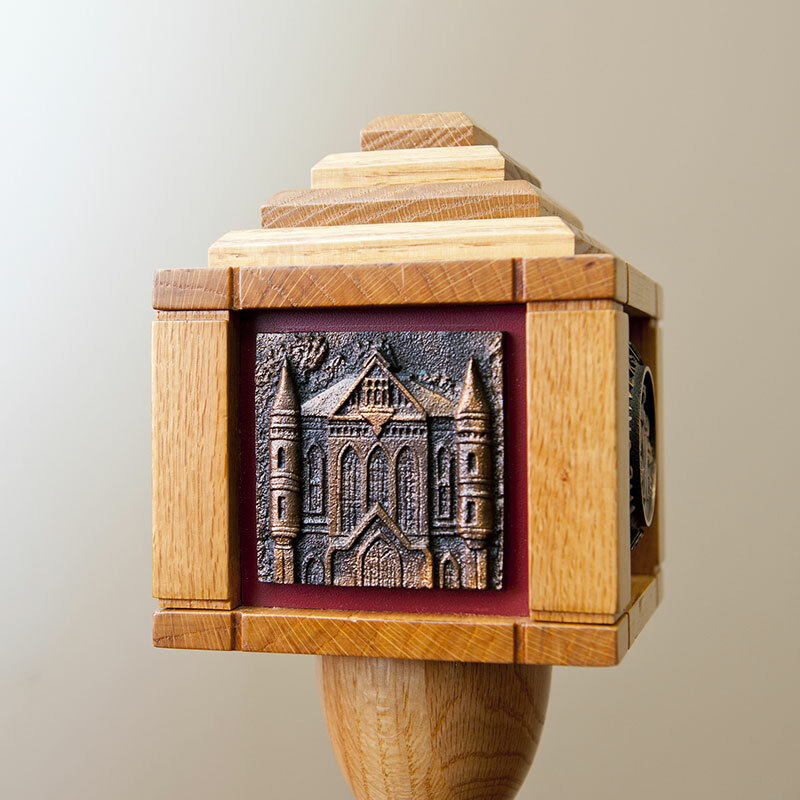 Made from one of our trees, crafted by our employees, carried by our faculty and bearing the symbols of our history and identity, the mace is part of what makes every commencement ceremony unique for our graduates. 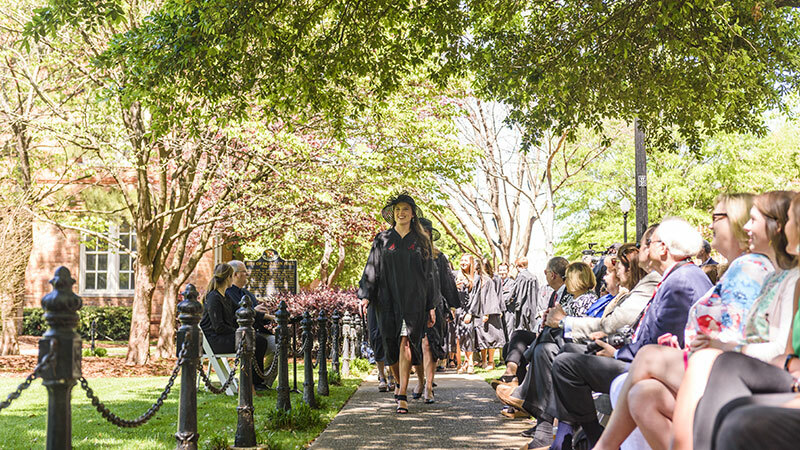 On the first Friday in April -- known as Honors Day -- inductees into the University’s senior honor societies are “tapped” on the Mound, a grassy landmark rising above the ruins of Franklin Hall. This special day has been a tradition since the turn of the 20th century. 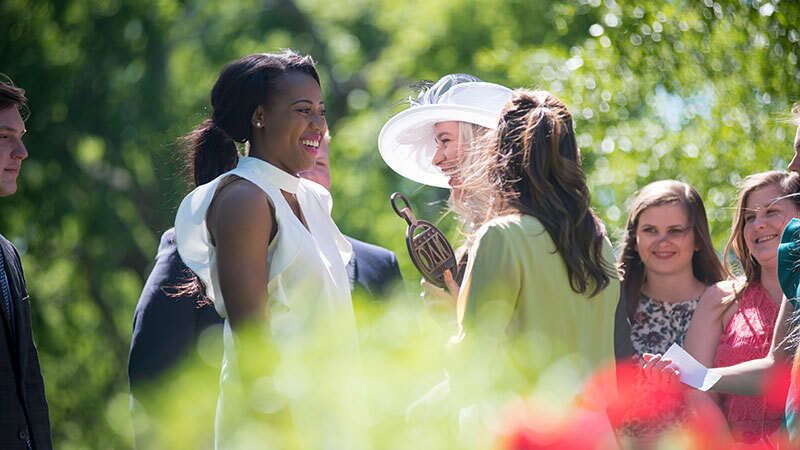 As the University has grown, Honors Day has expanded into a full week of receptions, award programs and ceremonies to recognize the academic excellence and leadership of our students and faculty. When choosing land for the new University, the first trustees needed property with abundant sources of clear water. They purchased William Marr’s spring, where chilly water flowed from hillside openings and could be collected in cisterns. 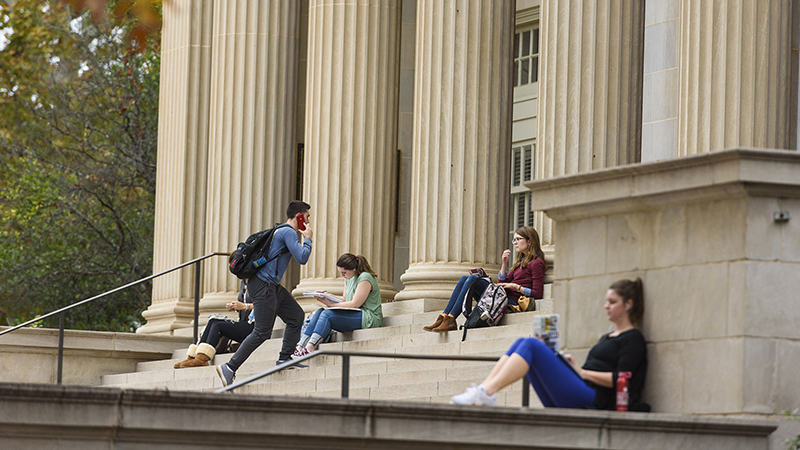 After many years as the University’s water source, lounging spot and swimming hole, the spring and cistern system could not keep up with the University’s needs. 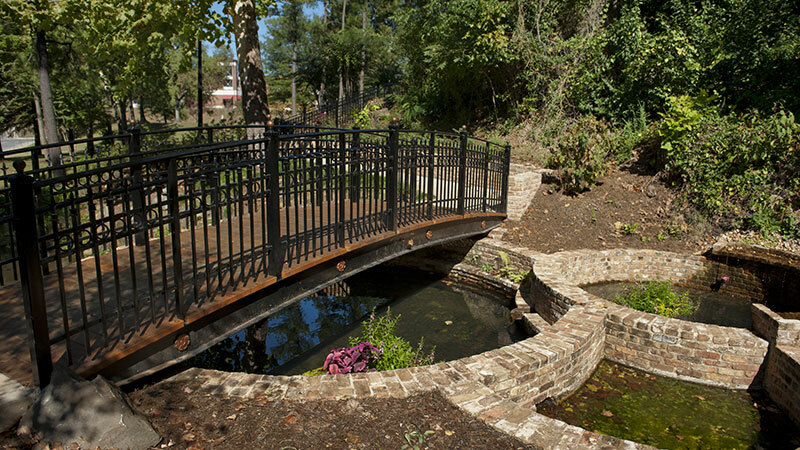 Now the renovated and repaired spring is a campus landmark, still drawing students who want to enjoy its beauty and peace. 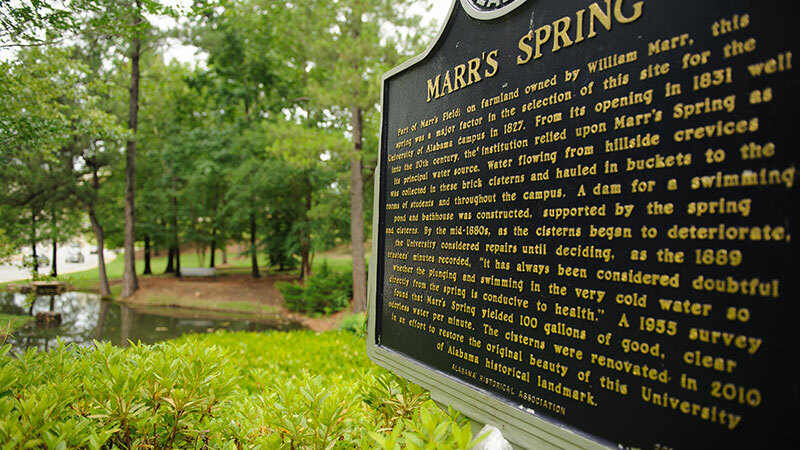 The University of Alabama would not be located where it is today had it not been for the water flowing from Marr’s Spring.